Some say that corruption should be denounced, demanding that impunity be avoided. However, when these demands are met but affect their personal interests or those of their class, they then try to minimize and ridicule what has been exposed. They also vilify those who have had the courage and moral integrity that they lack and who go beyond the ethereal blah, blah, blah, and denounce an offense like the one committed in La Puntilla. In this specific case, in the conduct assumed by those who defend the unjustifiable, passion and wounded vanity also play a part. It is unbearable for them that a humble revolutionary blogger –whom they have tried to discredit by all means– with a simple but courageous article of denunciation, succeeded in capturing the attention of the country’s main media and that of an important part of society. So they resorted to making trouble on the Internet. These characters are so contradictory that while they criticize double standards, they apply them on a daily basis. Their criticism is selective, they only approve of those that go against their main objective: [being] against the State. They are experts in distorting reality and try to describe a situation of corruption in our country like that of other places where it is difficult to differentiate between criminals and corrupt politicians. They are so hypocritical that they claim to defend the Revolution, when in reality they defend their own class interests and –in not a few cases– those of the enemy. Due to this absence of principles, lack of objectivity and masked perfidy they must resign themselves to holler their heads off on the world wide web.. They themselves provide the arguments that lay then bare: When CIMEX reported on the investigation it would carry it out to clarify what had happened, these people said it would only go so far. When the results came out then they speculated that these would only lead to administrative measures. When it became known that the corresponding charges had been filed, they are now trying to justify a punishable act by the non-existence of a wholesale market and the insufficient availability of some products. Is it licit to corrupt others by taking advantage of their needs and lack of integrity in the name of still unresolved issues? Where are their moral values? It is true that many things are needed and many problems must be solved, but these issues cannot be used as a justification for hoarding, speculation and exploiting those who have the least. To do so is immoral. A wholesale market and the availability of more products cannot guarantee on their own the eradication of acts such as the one that has caused these cyber-vigilantes to come out in defense of the crooks who committed it. It is also necessary for defendants and defenders to show decorum, ethical principles and a sense of solidarity. They must leave hypocrisy behind, set aside individualism and honor their human condition. In the rest of the people courage and sense of citizen duty must not remain impervious while crimes are perpetrated. “To witness a crime passively is equal to committing it”. Applying the philosophy of these false apostles of justice, we could charge them and those of their class. Maybe charge them for their children’s education and medical care?, take away their subsidized supplies?, tax their income with high taxes? and… why not? : take away their ADSL paid by the State because no few of them use it to access the Internet and attack the State. If we were to do that, we could be in a better position to raise salaries and therefore the purchasing powers of those who receive the least and who, as a whole, contribute the most to the public coffers. We could buy more products, lower prices and maybe even create a wholesale market. What do you think, gentlemen? I believe that it is a fair formula, because I remind these “avengers” that, fundamentally out of the sweat and the sacrifice of millions of humble people. From them come not only the apples but also many other items that some insensitive self-serving persons later hoard and resell at exorbitant prices. These humble people also create the resources and the money to guarantee the services that I mentioned above and the possibility of offering them free of charge, to subsidize the products of the basic basket, etc. It is their work that supports the economy and their dignified and disinterested attitude of commitment to the Revolution that constitutes its greatest strength and the indispensable factor to ensure its continuity. They make it possible for us to enjoy the advantages of a social system that puts men and women at the center, that fights for equality and social justice, shows high public safety and low crime rates — features that are a luxury in a world shaken by violence. These features allow those who have a lot of money to live in peace and tranquility, and the Internet buffoons to play their pranks on the networks trying to win over supporters and smiles from their class without risk. We must be consistent: corruption, as well as any other illegal act, have to be denounced regardless of who commits them. Their perpetrators must be prosecuted accordingly. In Cuba there is not a protective hand that inhibits the action of justice. Double standards are not practiced at the government level as they are in other countries. 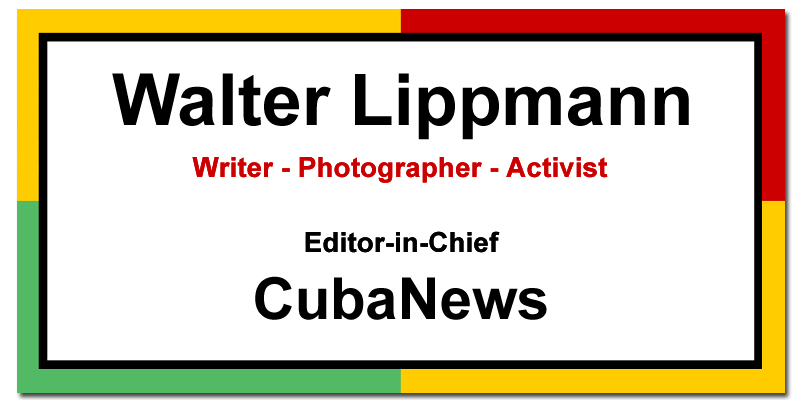 But double standards are applied in the Cuban blogosphere by some who are shocked only by what does not suit them. Don’t forget you pink tie clowns that in Cuba money will never guarantee impunity. Those who are in power are the humble –who in the face of scarcities and needs, will not tolerate being robbed, exploited and outraged– aware that as Martí said, “Poverty passes, what does not pass is dishonor”. Paraphrasing the apostle, “this is a republic for all and for the good of all, not just for a few.